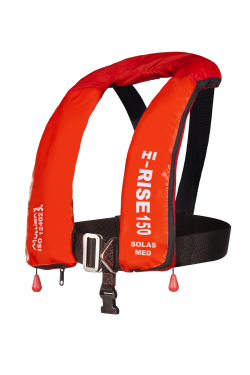 Ideal for offshore use with foul weather clothing. Designed to combine optimum safety and comfort. 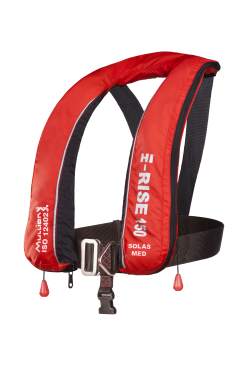 Stylized horseshoe design with offset shoulder straps to alleviate weight and pressure stress on neck and shoulders. The bladder has a unique hinged head pillow for optimal comfort and head support in water. The shape of the bladder is tailored to the contours of the wearer to create a snug secure fit whilst giving supreme in-water performance.